we ♥ letterpress (www.weloveletterpress.com) is currently organizing an international letterpress exhibition in collaboration with Zygote Press in Cleveland, Ohio USA (20 April to 19 May 2012). 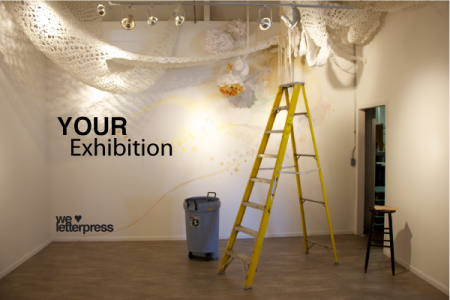 For this exhibition YOU can rent different sized spots and submit letterpress work. Please visit our Kickstarter project for all further details: www.kickstarter.com/projects/weloveletterpress/we-letterpress-your-exhib... . There you will also find all further information how you can participate and support the exhibition. If you have any questions please don’t hesitate and send us an email: [email protected] We’d love to hear your thoughts and feedback!